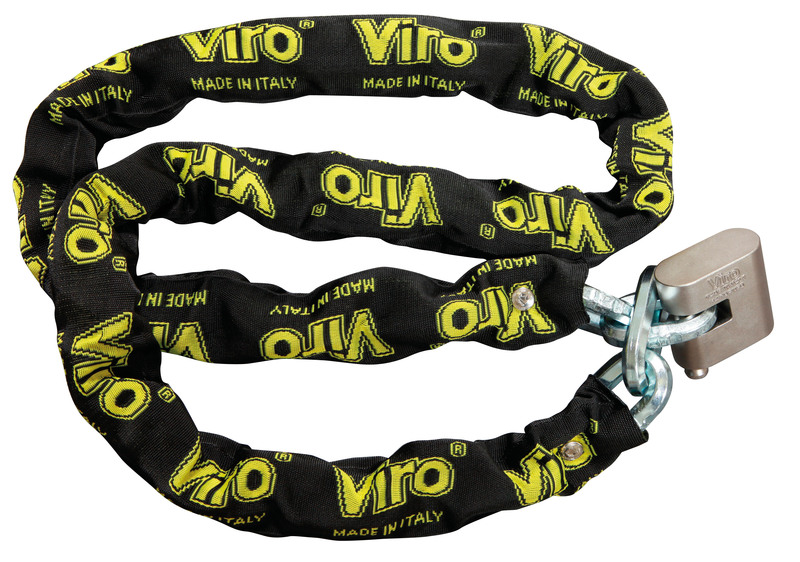 In the last blog we showed you how Viro classifies its products in 5 different resistance levels: from “standard” (indicated by the symbol of 1 padlock) up to “top” (5 padlocks). 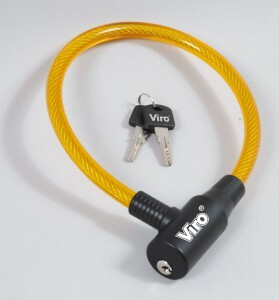 The table, which summarises the characteristics of each category, can be useful when buying an anti-theft device for motorcycles, bicycles or mopeds, as it facilitates the understanding of the symbols shown on all the Viro packaging of anti-theft devices in the 2Ruote range. To further clarify, listed below are 5 examples of Viro products with properties associated with particular levels of security. In the first level we find, for example, the “Elba” simple twisted cables, which are easy and convenient to use and suitable for securing bicycles in low-risk areas, such as a courtyard, where it would be difficult for a thief to act undisturbed. The “good” products include the semi-rigid twisted cables, such as “Ibiza”. 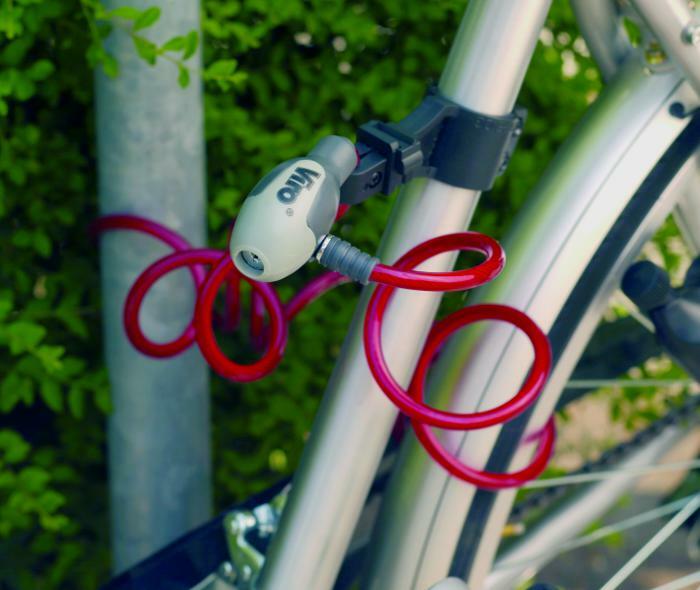 This category of anti-theft devices preferably lends itself to the protection of bicycles, again in low-risk environments. 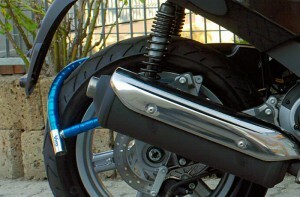 The resistance of the products in this intermediate level is suitable for securing motorcycles, mopeds and bicycles. Since the cables are made of hardened steel they guarantee a high cutting resistance; at the same time, given the flexibility, they are practical, such as, for example, the “Serpis” model. But be careful to install them properly (never in direct contact with the ground, to prevent thieves from exploiting the lever effect, by resting all their weight on one arm of a cable cutter, whilst the other arm rests on the ground). 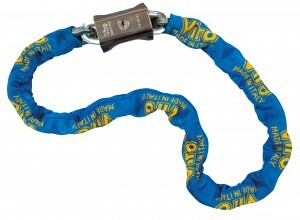 All products in this category are designed to make the attempts at theft lengthy and difficult. For this reason it is advisable to choose a product like the Blocca Catena, which is amongst the “excellent level” products, if the area where you usually park your 2-wheeled transport is not entirely secure. The “top level” includes the most resistant products, so probably less practical when it comes to securing a bicycle or a small moped, but potentially excellent for securing all 2-wheeled vehicles, especially when it comes to large motorcycles. For example, the Eurothor product, which is made of hardened and tempered steel, with a 13 mm hexagonal chain made of steel and manganese, is an anti-theft device with excellent resistance which, when fitted properly, is best at protecting the most valuable 2-wheeled vehicles. As always, it is best, if possible, to combine different types of anti-theft devices, as this means the thieves require more time and also different skills and tools to attempt to overcome them. This entry was posted in Motorbikes and Bicycles and tagged products, technology, tips on 7 June 2016 by calessandrini.